As occult studies entered into the 20th century its Christian and Kabbalistic influences would fade and occult leaders sought to re-create mythology they found interesting. With Crowley’s achievement in creating his own mythology and esoteric system, it inspired a New Age of occult groups, who began to form and adopt what they wished with very little Masonic influence. This stream of thought is found within society today within the New Age Movement. New Age has very little to do with Masonry objectively, but subjectively it still bears important elements of the lodge structure. New Age often includes types of moon worship, herbs, crystals, types of yoga, meditation, and candle magic. This new age movement has a firm foundation in Wiccanism, the claimed modern incarnation of traditional Celtic Druidism and Shamanism. Overall the system is dedicated mostly to elemental energies and some selected planetary energies. But what most Wiccans don’t realize is that their New Age movement had its origins and had been heavily influenced by Freemasonry, even after every prayer they say, "So mote it be." 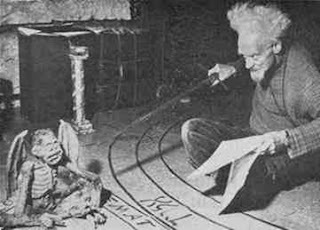 The founder of Wicca was Gerald Gardner who was born in 1884 to an upper-middle-class family in Lancashire. During his life he worked as a civil servant, author, and amateur anthropologist. Gardner claims he was initiated into Masonry at Sphinx Lodge 113 in 1905, yet no record exists. Gardner claims to have left the Masonic fraternity in 1908 after he had received his Ancient Craft degrees. Interested only in obtaining the secrets of the Craft he took much of the symbolism and teachings to heart and began elaborating them into a system of his own creation. Gardner worked through the structure of the OTO becoming the head of Britain. It was there that he began his contact with Aliester Crowley and shared his dreams of founding a Celtic themed magical society. He paid Crowley 200 pounds to write out this system of modern witchcraft and thus Wicca was born. Crowley and Gardner used the lodge structure and many of the aspects and initiatory rituals of Masonry and incorporated them into Wicca. Compare these aspects of the Wiccan First degree with that of the Entered Apprentice degree; The initiate is blindfolded with a cabletow binding them, representative of the umbilical cord of material life and is conducted to the edge of the Magic Circle which in Masonic terms would be the lodge room. The Initiate is received by the tip of a sword and is told “it is better that thou plunge your heart upon this sword than to enter this circle with fear in your heart, and never to divulge the secrets of your coven” which is almost identical to the reception of the Apprentice. Both groups venerate the four directions and refer to their work as the craft, and there implements as "working tools". Masonic initiations end with a “Charge to the Candidate or Lodge’ which is a lecture explaining the historical and symbolic lessons of the grade, while Wiccan initiates end with a ‘Charge of the Goddess” which shares much of the same purpose. On the third the Master receives the ‘Five Points of Fellowship’ while the Wiccan, on their, third initiation receive the ‘Five Fold Kiss’. Even with the almost overwhelming similarities, Wicca is founded and propagated in 1954. The Wiccan first degree focuses on the adoration and worship of the “Goddess” or Mother Earth. It is here you are brought to light in the power of elemental energies and you take your obligation to the coven and are ‘reborn’ or ‘twice born’ into your new dedication as a Wiccan. The second degree is dedicated to the masculine God or ‘Horned God’ taking personification for the Celtic Green Man or Greek God Pan which is associated with the sun. It is in this Second Grade that the Wiccan is given their Magical Name within the Order. The Third degree is dedicated to the unification of the God and Goddess through a symbolic death and resurrection. 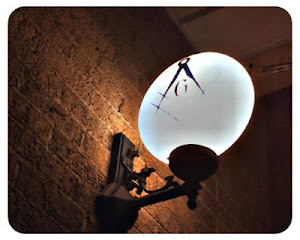 All three degrees echo a Masonic Structure and seek to connect themselves to a stream of ancient pagan energy that had been lost for almost one thousand years. What Wiccanism did though, was make esotericism mainstream. From this mainstream new age movement would come a new breed of charlatans, gurus, self help books, pseudo-science, and attempts to revive long dead traditions. I guess my question on this post is .. are you glorifying or condemning wiccan - masonic similarities .. or neither. Elk's etc , have a similar structure but neither are representative of the masons. doesnt have to go back and re-read or remind themselves that the intent of the articles. I know a few masons if they were to read any one of these.. would take issue..
Records exist for Gardner's membership in a lodge under the Grand Lodge of Ireland.